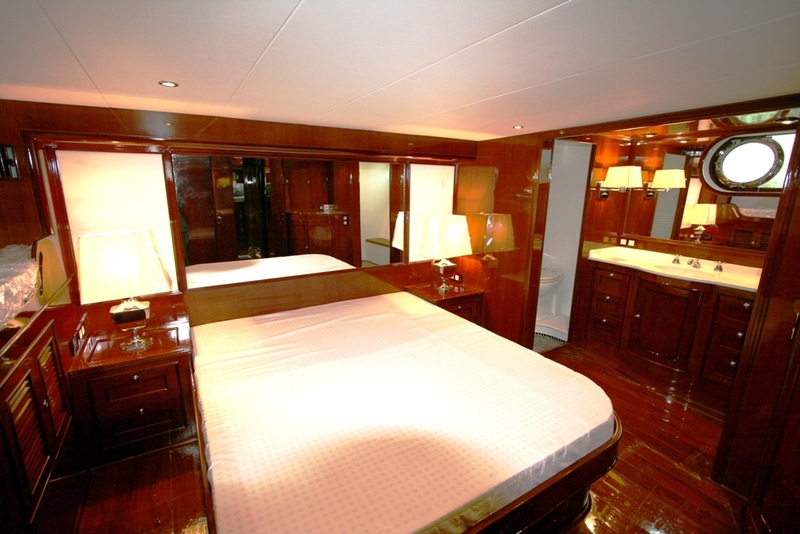 The 650CE has a very spacious interior.The sleepingquarters are reachable from the pilothouse. 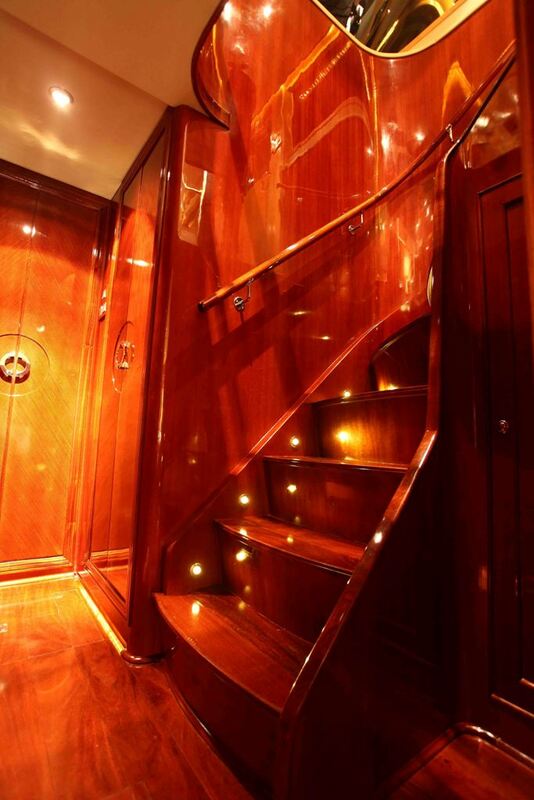 There is a luxury staircase illuminated.The masterbedroom is large and has its own seatingarea and bathroom.The other 2 cabins are spacious and there is another shower/toilet cabin. There is lots of storagespace. 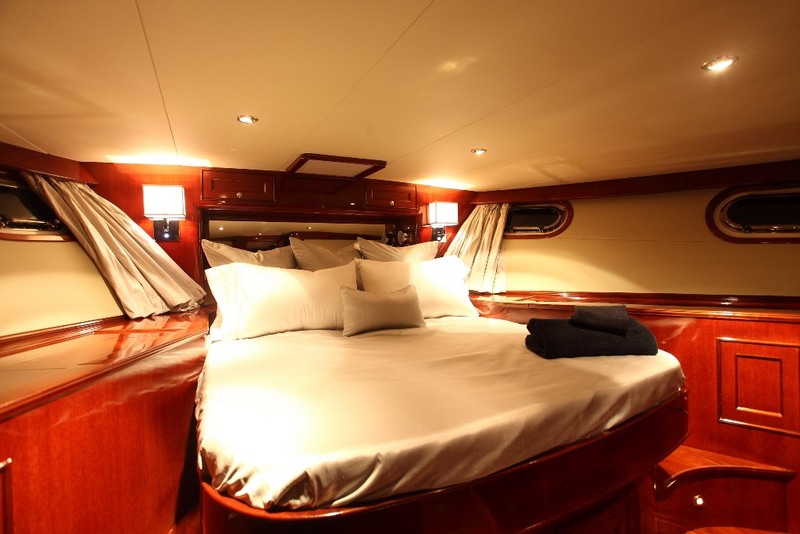 The view from the flybridge is a 180 degree view and has a portugese bridge. 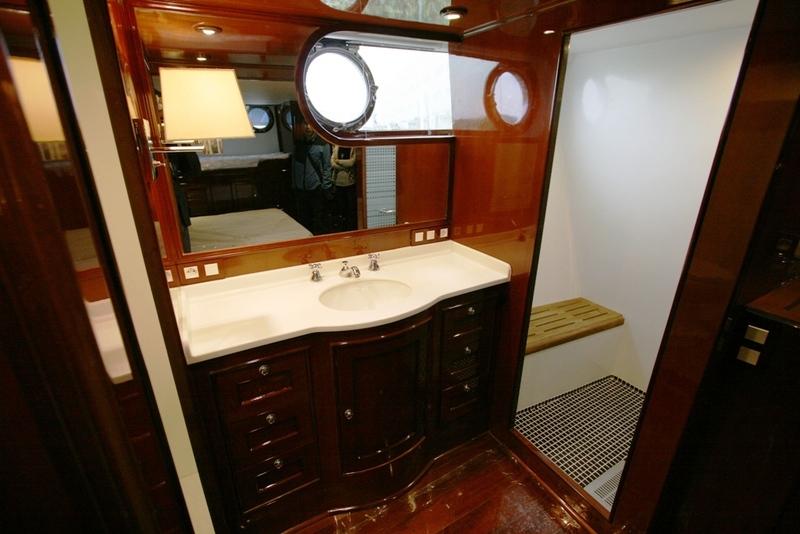 The pilothouse has a comfortable seating area. The seating area can be transformed into a bed. The kitchen and saloon are very spacious . 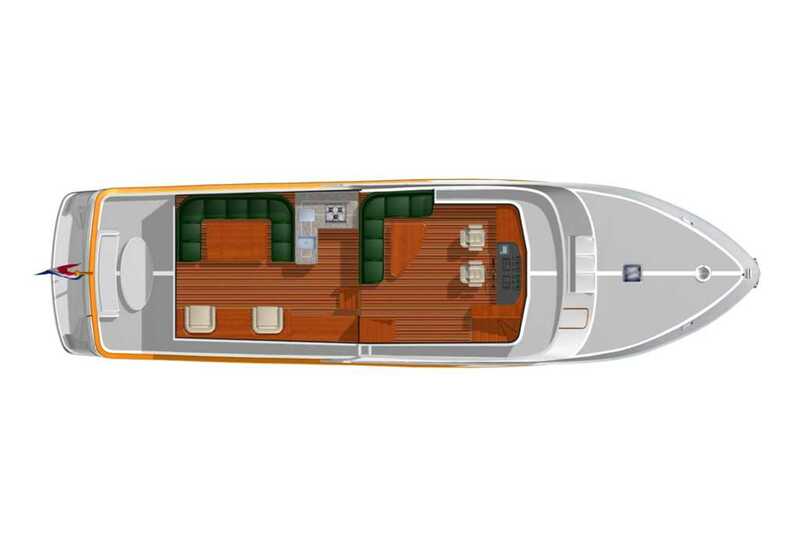 The kichen has a lot of storagespace and the saloon has comfortable seating and a high/low table. 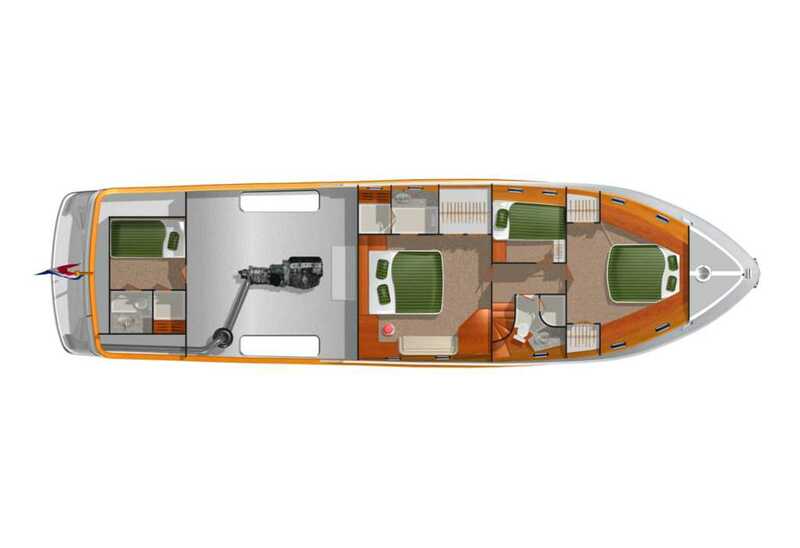 The flybridge is reachable from the pilothouse and has a BBQ, fridge and compact cookingarea and ofcourse the second set of controls. 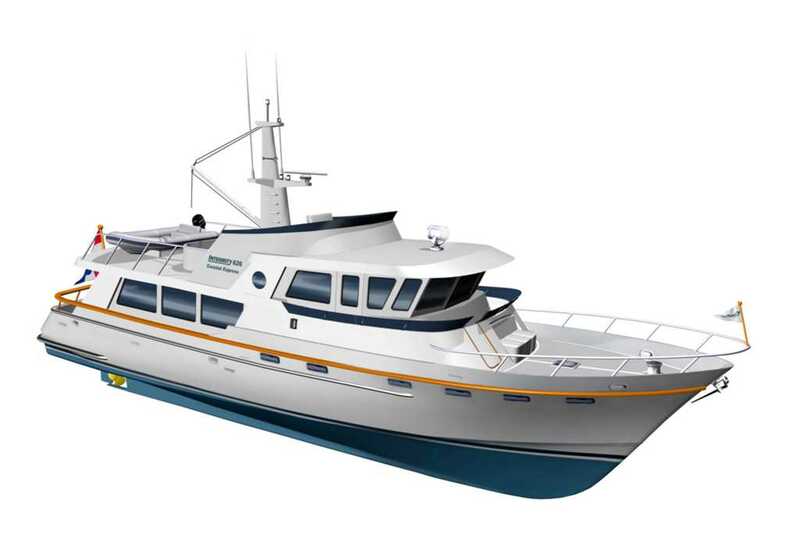 The tender can be stowed on the flybridge. There is the possibility to install an electric crane. On the aftdeck is a bench and table. 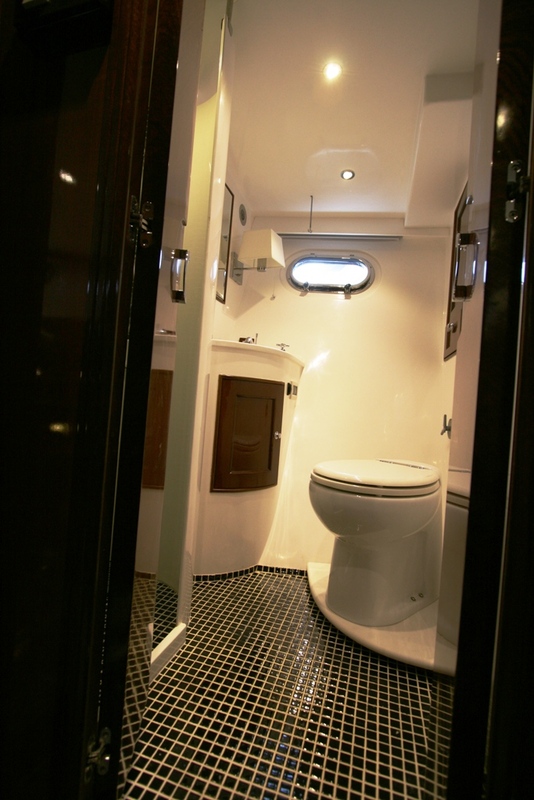 The lazaret is large and reachable through a hatch on the aftdeck. 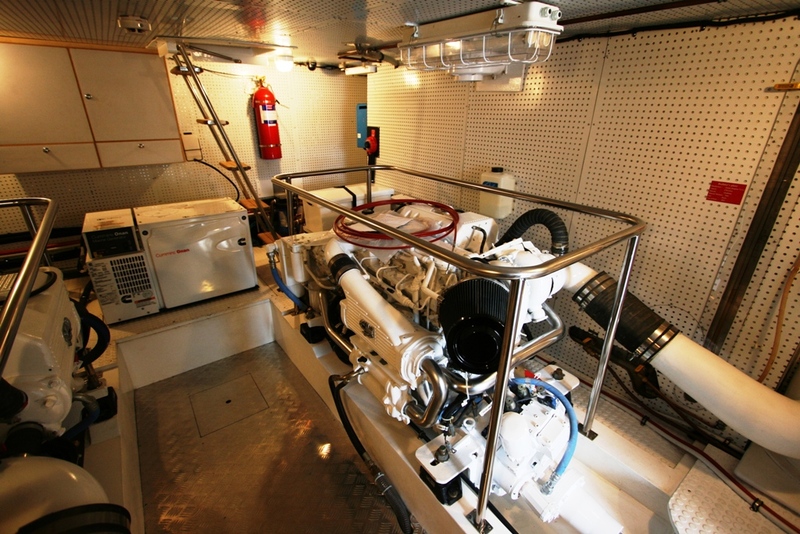 There is also the entrance to the engineroom with ample room for all equipent like a generator. 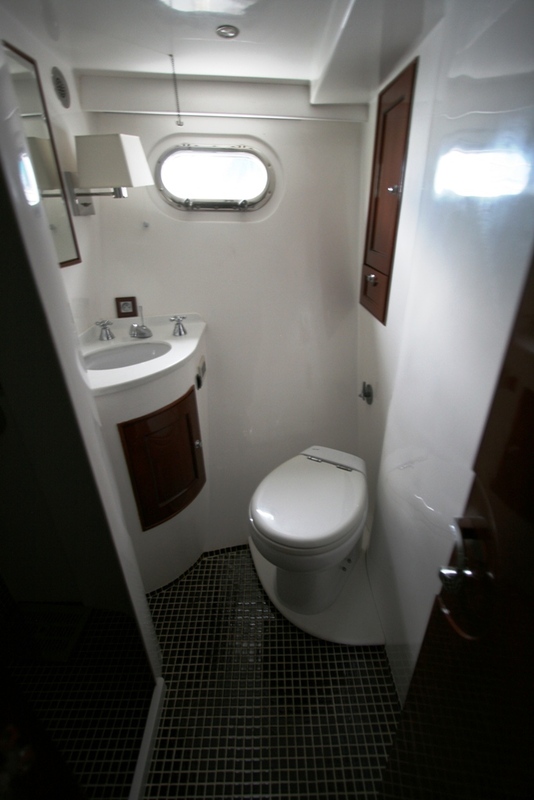 In the lazaret you will find the washingmachine and upon request the crew-cabin.